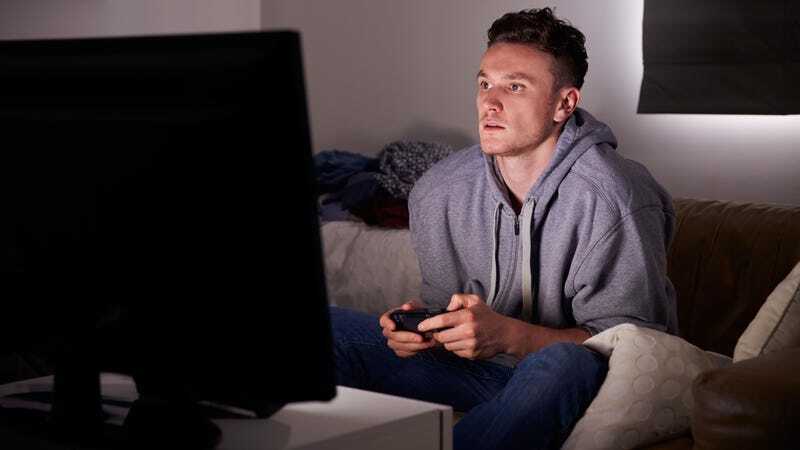 CRANSTON, RI—Describing the utter lack of ambition as “such a shame,” sources confirmed Monday that local 27-year-old Andrew Maslia has been wasting his life playing video games when there’s a whole world of other screens out there. “It’s really sad to see a guy like that spending eight hours a day holed up with his PS4 when he could be staring at his phone or his iPad instead,” said a source close to Maslia, expressing bewilderment over why anyone would sink that much time into video games when the world has so many streaming services, YouTube videos, and social media feeds to offer, and they’re all within arm’s reach. “Andrew is always on the couch holding a game controller, even though he could be holding one of four or five different remote controls instead. He hardly ever powers up his laptop anymore, and I honestly don’t remember the last time he went outside to go to a movie theater. He’s really missing out.” The source also confirmed that it has probably been years since Maslia last read a book on his Kindle.